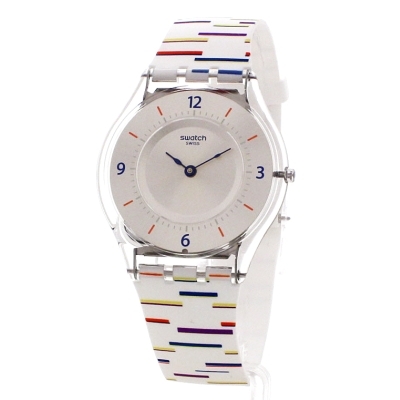 This is a lovely watch to wear everyday, the multicolour stripes are subtle and very nice. 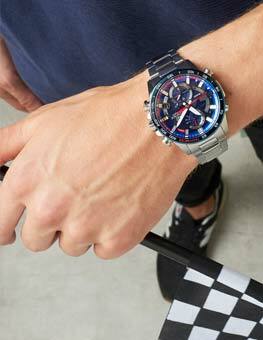 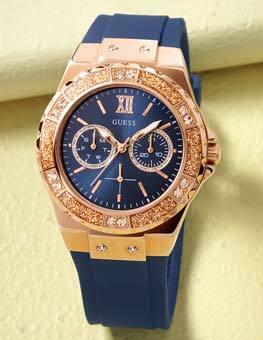 The watch is of excellent quality and looks even better on. 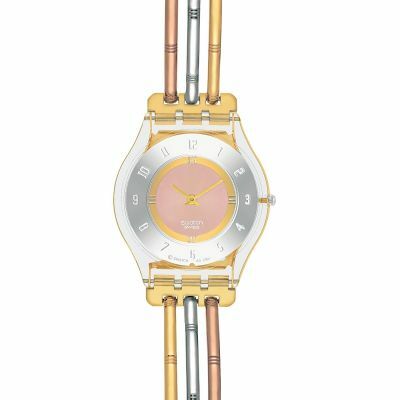 Ive had great compliments about the watch as well. 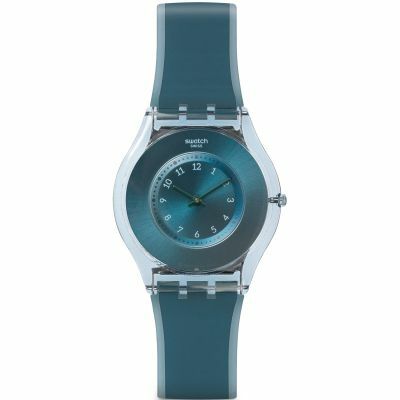 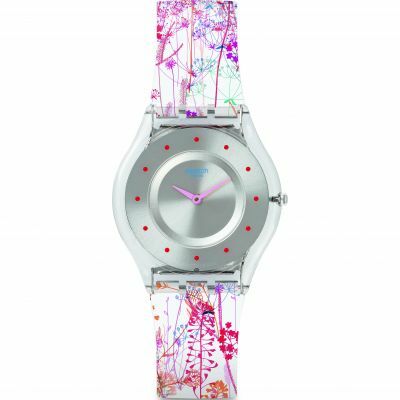 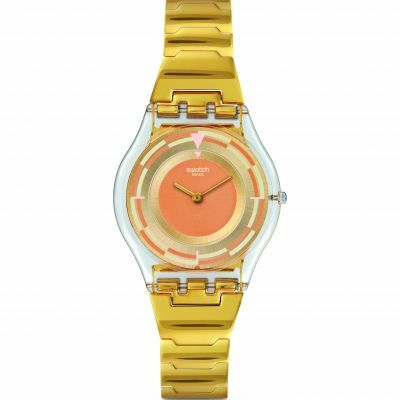 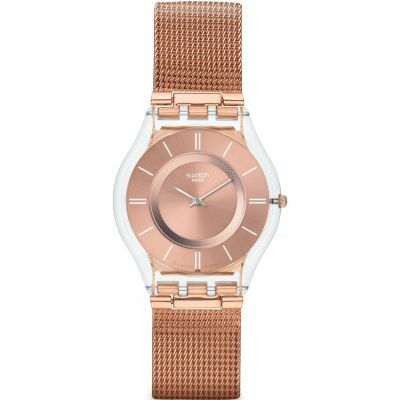 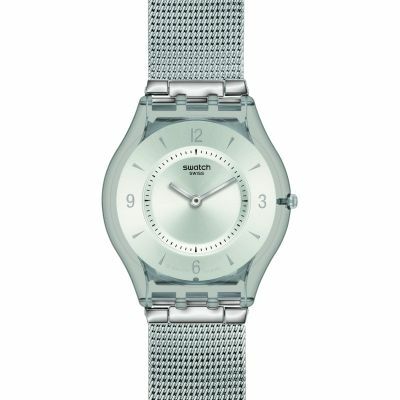 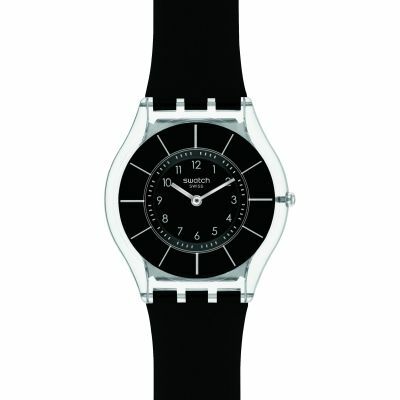 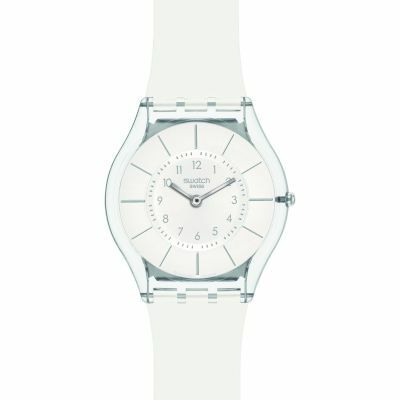 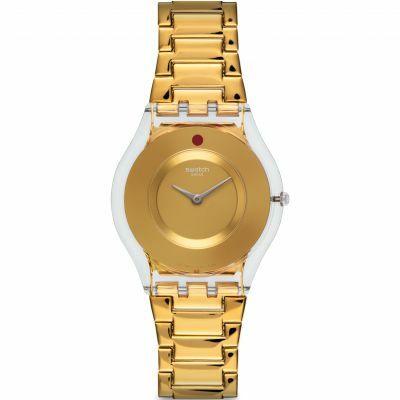 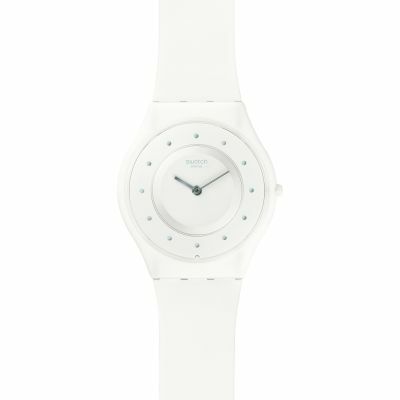 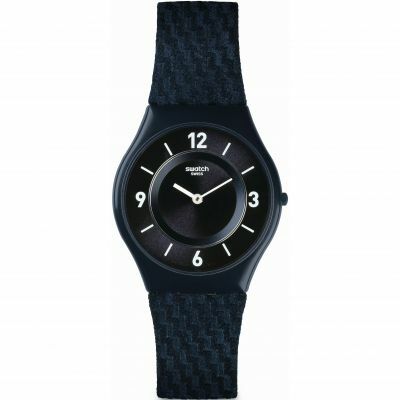 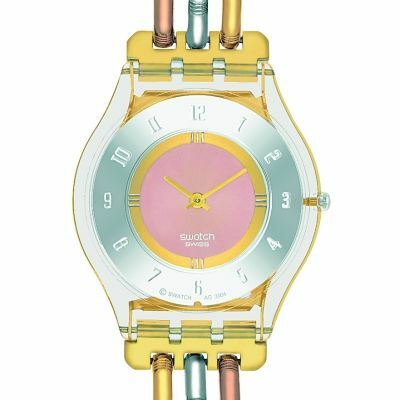 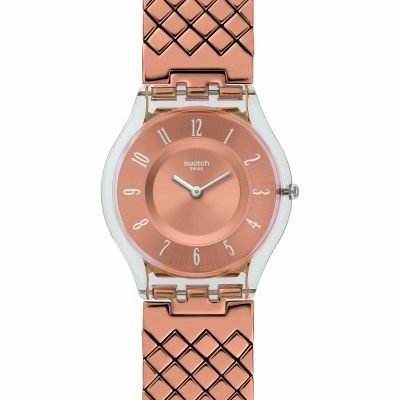 I would definitely recommend for anyone who loves Swatch watches, like me. 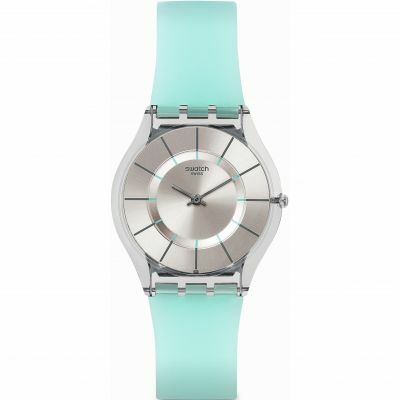 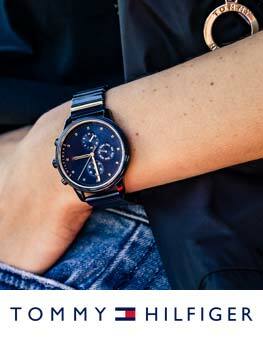 This ultra slim watch with its silicone rubber strap is extremely comfortable to wear. 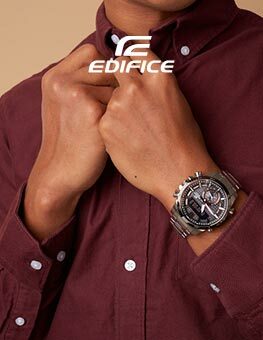 Lies very flat so never catches on clothing. 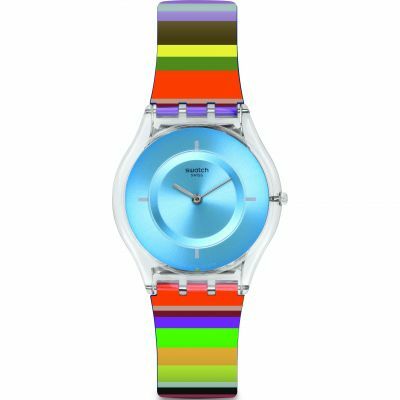 The dial is minimalistic whilst being colourful and clear. 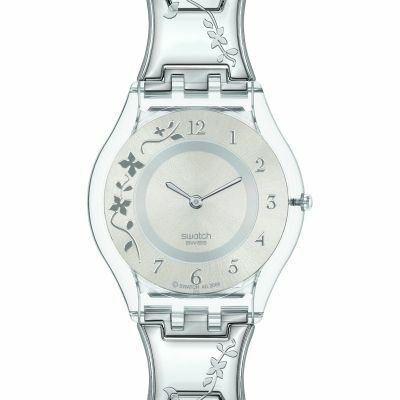 I had the same type of watch previously which lasted years and years and is in fact still going. 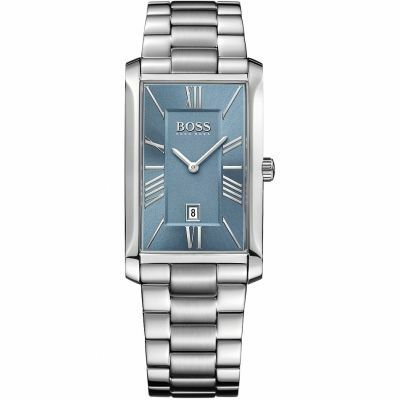 Only replaced because I had severely scratched the face.